Today, we did some sightseeing in Athens. 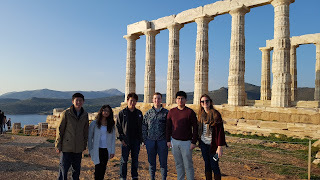 Among some of the places we went were the Acropolis, Temple of Zeus, and the Panathenaic Stadium. 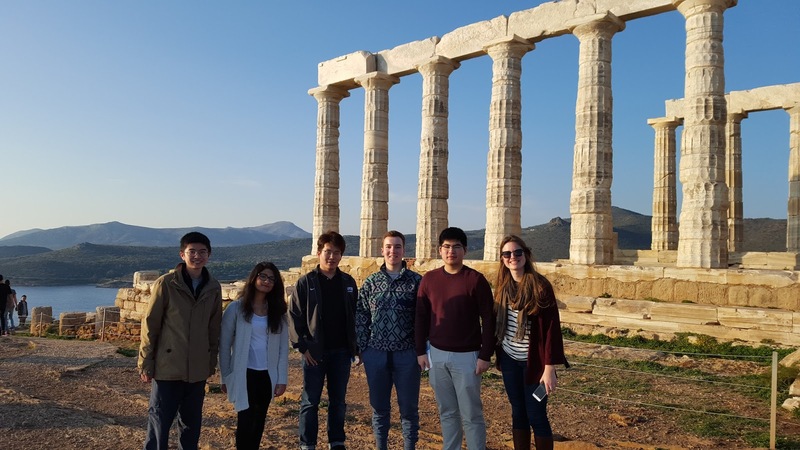 While we marveled at the magnificent structures and architecture, we also admired ancient Greeks for their wisdom and civilization as they advocated new conceptions of democracy and justice. During lunch, the group settled in a restaurant near the Agora and ate some of the excellent local cuisine. In the evening, we boarded a plane to Thessaloniki, where we will stay for the remaining days of the trip. With a short flight north to Thessaloniki, we were tired but excited for our visit to the American Farm School (AFS). AFS and NMH share some great connections! For example, AFS has adopted the motto of the "head, heart, and hand," and like NMH, they have a working farm. Their farm is a bit more expansive than ours, with 120 cows producing milk, yogurt, ice cream, and soon cheese! AFS's chapel was also built a few generations ago, by students who carried the rocks by hand to the building site. Wow! Finally, AFS sent five students to NMH summer school last year, and a couple years ago NMH alum Delia Flanagan '10 interned at AFS. We'll have pictures and more reflections from students soon! Tomorrow, our conference at Anatolia College begins. Very excited for our students to represent Iran, Greece, and France in their respective committees.